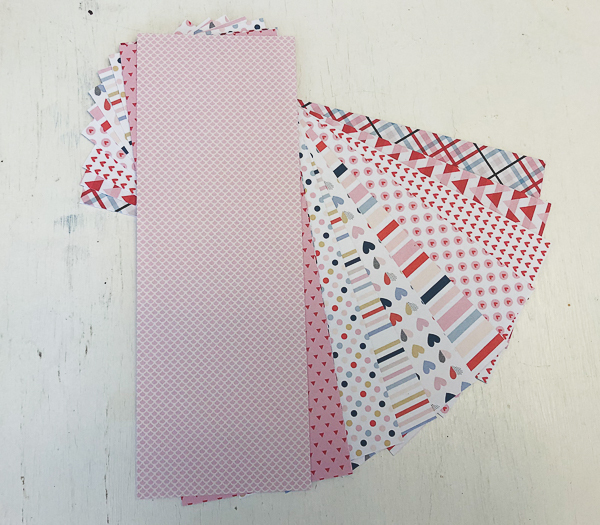 I am so excited about this fun hybrid project I am sharing with you today! 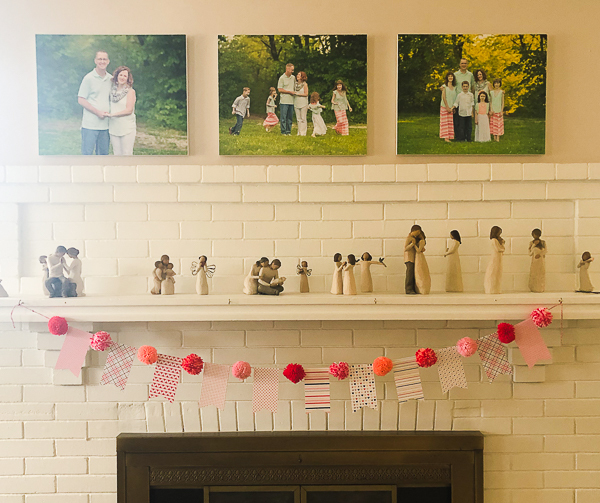 I love decorating my mantle with banners for each season and today I want to share my newest Valentine’s Day Banner with you! 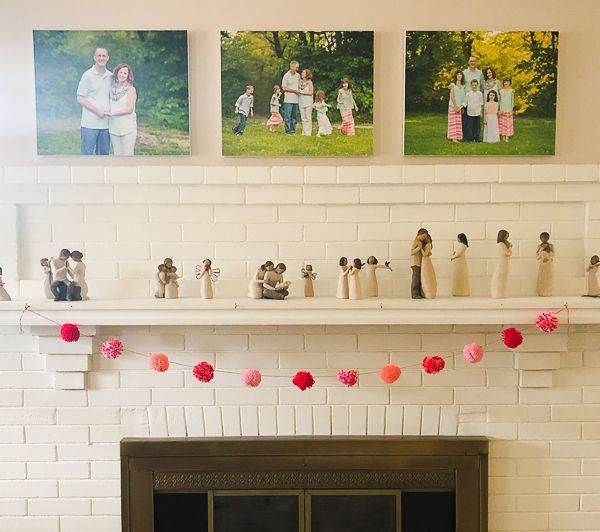 I picked up a cute pom-pom banner at Target last weekend and wanted to add a little more pizzaz to it. I used some gorgeous patterned papers from BYOC and cut out flags to add to this banner and I love how it turned out so much!! 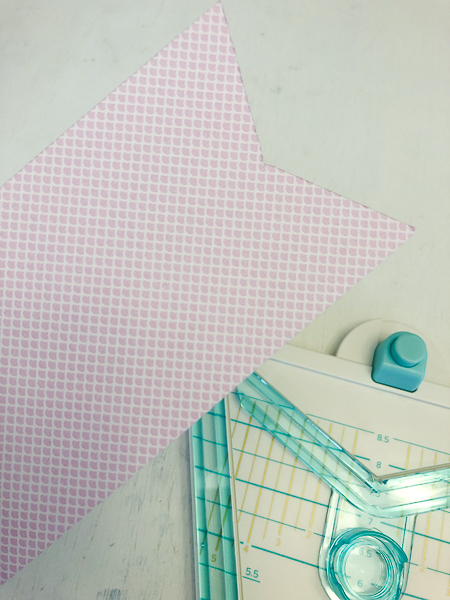 Cute, but it definitely was made a lot cuter with the addition of some digi-scrap papers!! I used papers from Allison Pennington, Sara Gleason and Becca Bonneville. 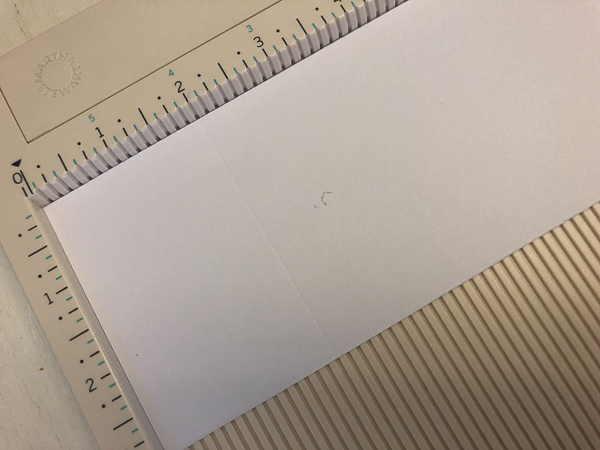 I clipped the papers I chose to use to 3 x 8.5 inch strips in Photoshop. 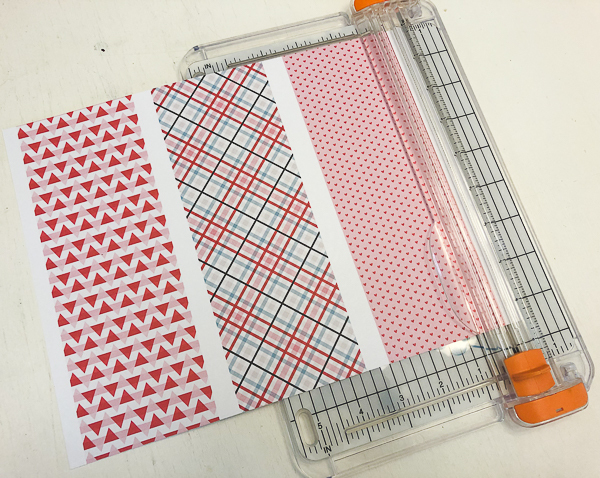 I then printed these strips out and used my paper trimmer to cut them. My husband gave me a banner punch board for Christmas and I have been dying to use it!! This project gave me the perfect excuse! 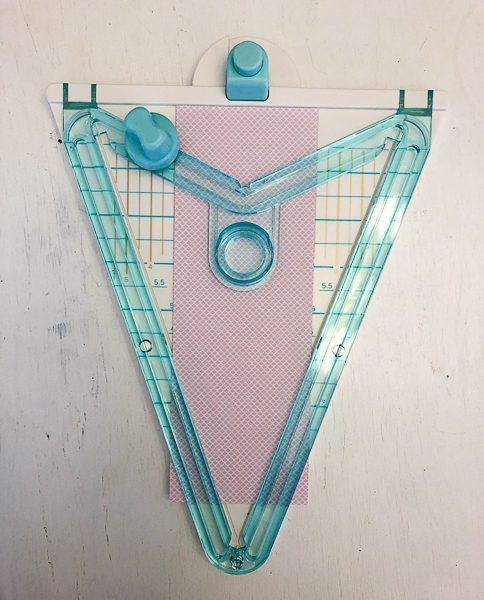 I pulled it out and used it to cut out the flag shapes. Next, I scored fold lines two inches from the straight edge of the banner flag. I folded this over the twine on the banner between pom-poms and used an adhesive dot roller to secure in place. I repeated this to attach banner flags between each of the pom-poms on the original banner. 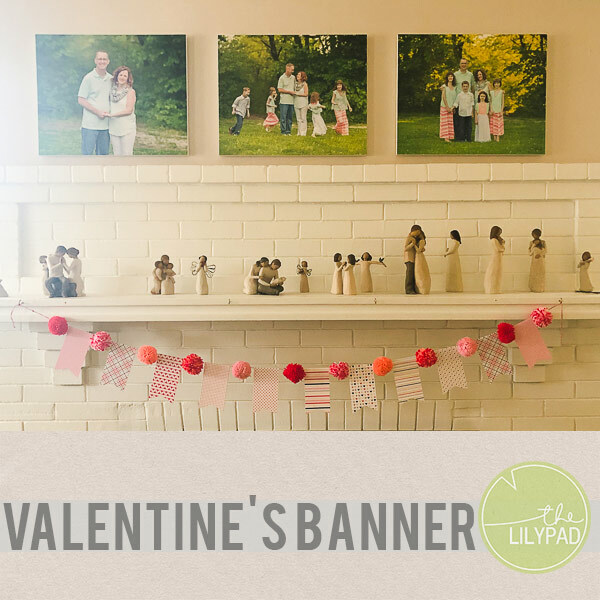 I love this simple, fun, festive Valentine’s banner so much!!! It really adds an extra touch and I am blown away at how well the printed digital papers look!! 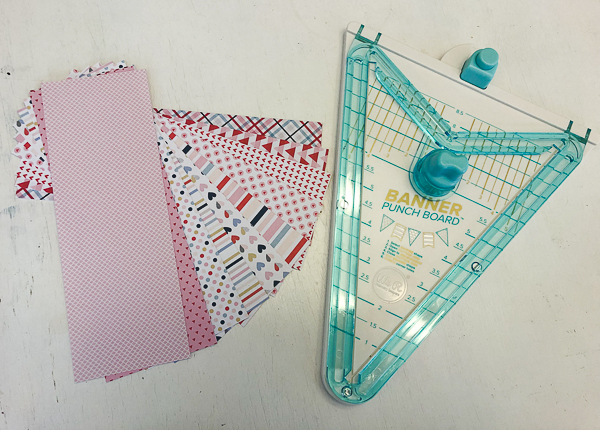 I can’t wait to make more banners for other holidays using this fun hybrid project! I hope that you are inspired to make a holiday-inspired hybrid banner of your own. LIving in the Shadows is Good!